USDINR trend turns up on weekly basis. USDINR close above WHEMA. 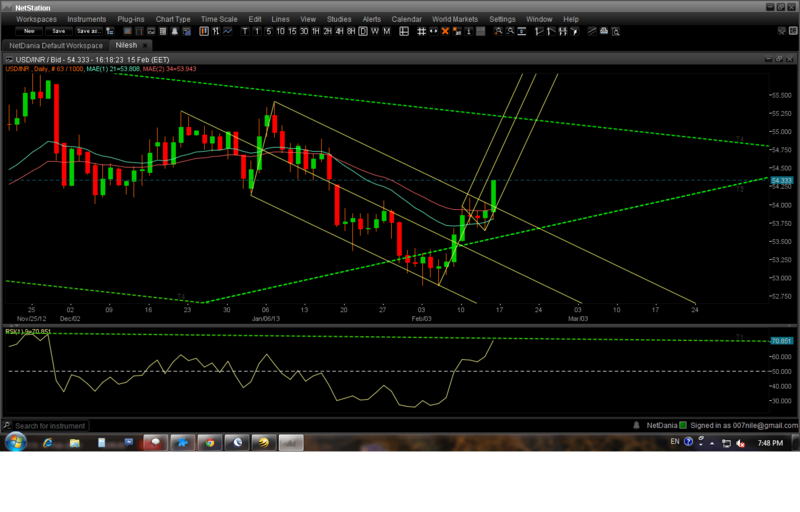 Next trend line hurdle near 55.30. Close above that TL breakout possible. RSI breakout gives early indication. 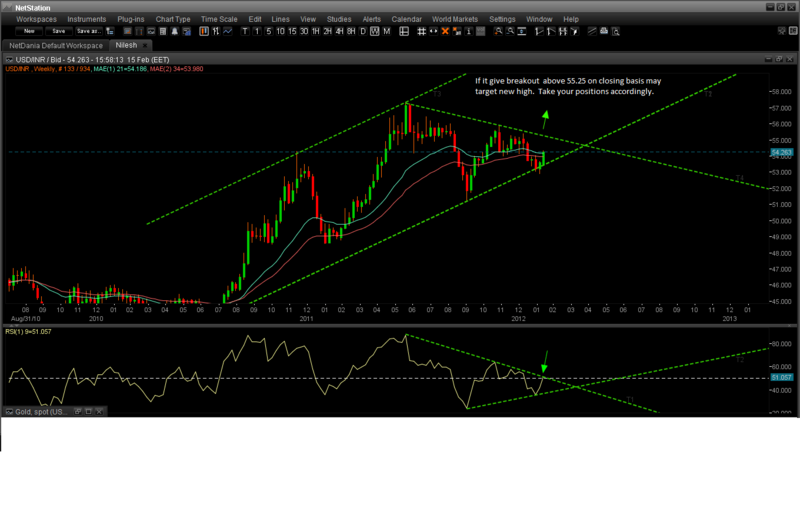 USDINR Daily chart with Andrew Pitchfork still works well. It is interesting to see will it work further for this upmove. Take your positions accordingly. usdinr is on resistance now. close above 55.30 spot is breakout now.